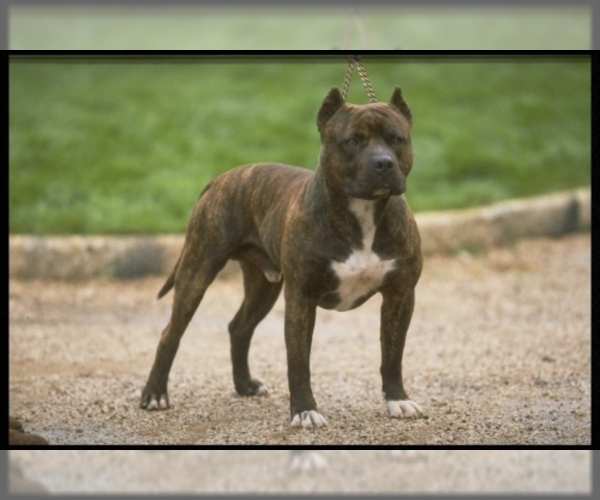 Posted Breed: American Staffordshire Terrier / Cattle Dog (short coat). We were contacted by someone who found a female dog that recently had puppies. Some monster had taken and killed all of her puppies and dumped the whole family. We named her Mahlia, which means Beauty of Strength. Despite the heartache, abuse, and neglect that this sweet girl has previously endured, she is so sweet and grateful. 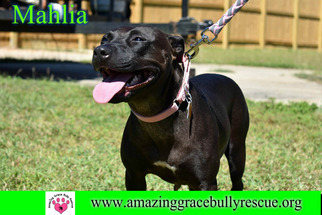 Mahlia is about two years old, weighs 39 pounds and is a Staffordshire Terrier/Blue Heeler mix. She is crate trained, and loves to run, play, and snuggle! Help us find the best home for this sweet girl with the sad past! Amazing Grace Bully Rescue is a foster based rescue in the Pensacola, Florida area. We do not have a physical building. If you would like to meet any of our pups, the first step is to fill out our online application so we can contact you. Our adoption fee for Mahlia is $150 and includes her spay, current shots, and microchip. If you would like to adopt this Amazing dog, please fill out our online adoption application at .amazinggracebullyrescue If you have any questions, feel free to call/text us at (850) 723-2037.